The Trust recently and sadly said farewell to James and Ruth. They have most generously given their time, resources and energies to progressing the work of both the NWZDT and Zengamina Power Limited (ZPL, the trading name of the hydro electric project). James’s vast experience as an electrical and transmission engineer was invaluable as we expanded the network of ZPL, commisioned equipment and trained personel and to have had his expertise in such a rural location was an incredible blessing. We are grateful for his ongoing support. They have a passion for people and in addition, for the broader goals of NWZDT, they both have worked extensively with young people in the area developing the Sports Ministry and were actively involved in supporting and developing Musangala church and school in the community beside the hydro power station. They have given of their skills more generally to Kalene Mission Hospital, the community which kindly hosted them, James of his electrical and technical expertise and Ruth of her radiography skills. 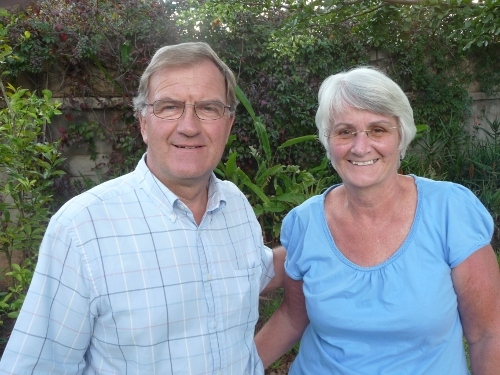 James and Ruth first became involved with the Trust through Central African Mission (CAM) in 2007 when they came to Zambia for short periods. Then in 2009 they came full time until their recent return to the UK. They will be missed at Kalene and by the many Zambians who have come to know and love them, especially at Musangala.